One needs to thank donors timeously – the accepted standard is five days from receipt of the donation. Ideally this should be in written communication form, whether it be an email, a letter or a card. The format is dependent on your relationship with the donor and their choice of preferred communication. Sending personalised thank-you letters that are not ‘standard form’ letters show donors how much you appreciate their contribution. It is a good idea to detail exactly where and how the funds have been used, as well as including any information which is particularly relevant to that donor. 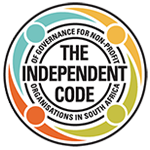 Aside from reassuring donors that their money has been used appropriately, this detailed reporting also helps build and consolidate a trusting relationship between the funder and the organisation. Although more time consuming and costly, another recommended form of thank-you communication is calling first-time donors as in the Trust’s experience it is very effective in initiating further donations. 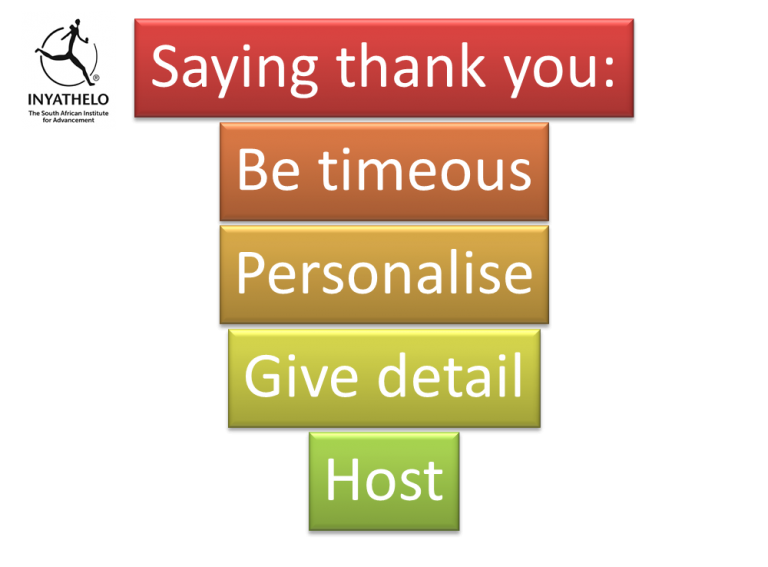 Organisations should also consider holding ‘thank-you’ events where you can thank a number of donors one at a time. Whether it be a tea/lunch/talk which they are invited to, it’s an excellent way to specifically thank donors for their support and show them how their donation has been used. The Trust normally tries to secure sponsorship for these events to avoid this becoming a costly exercise.